I promised somebody I would get some photos up and I'm sticking to that! It's weird, I usually go nuts trying to share my photos with you but I've been crazy busy so I haven't been able to. A real update to come fairly soon but for now here's a few photos from Alaska! A very interesting map. 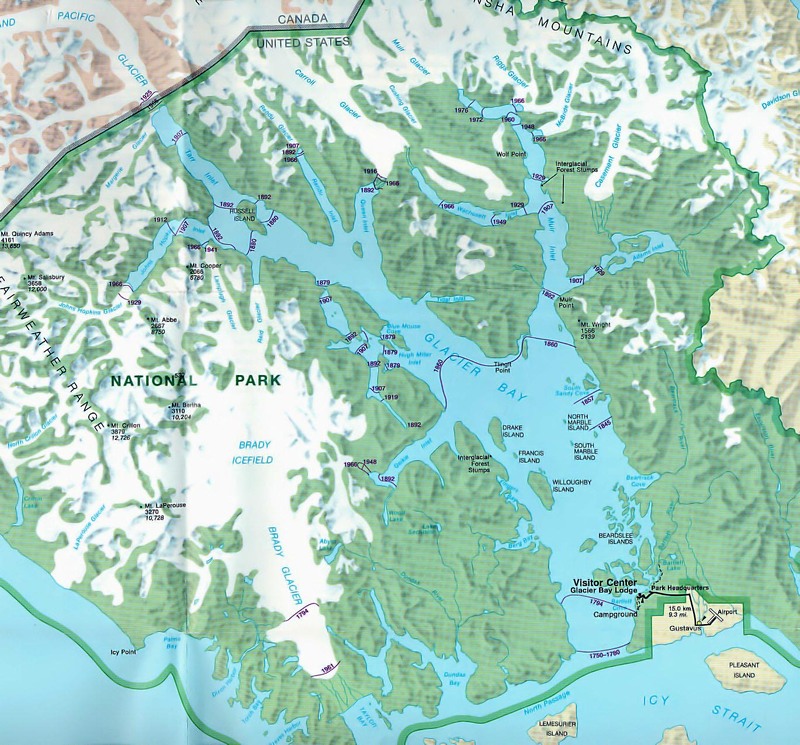 This map shows the glaciers receding since the Bay was first discovered. You can see that in the 1700s the glacier went all the way to the end of the Bay and by today it's very far back into the mountains, carving the fjords you see on the map. 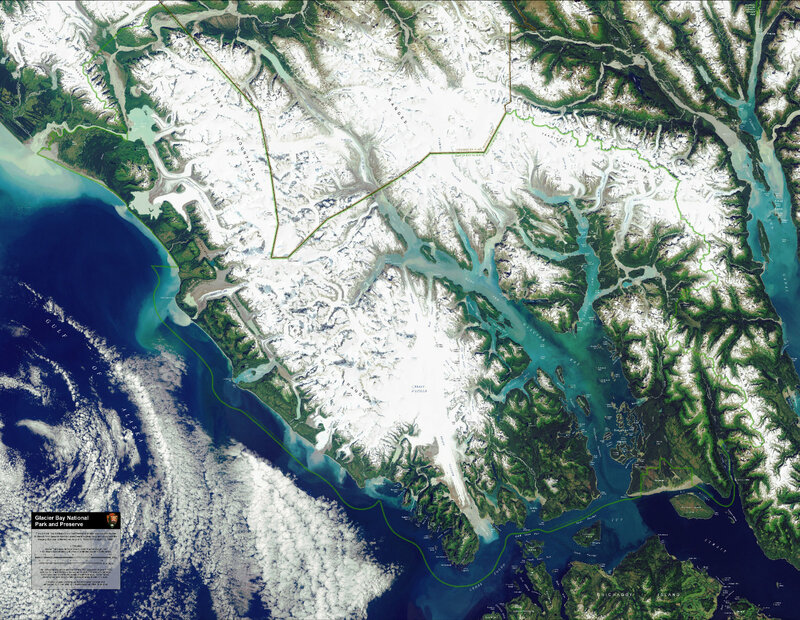 You are now entering Glacier Bay. 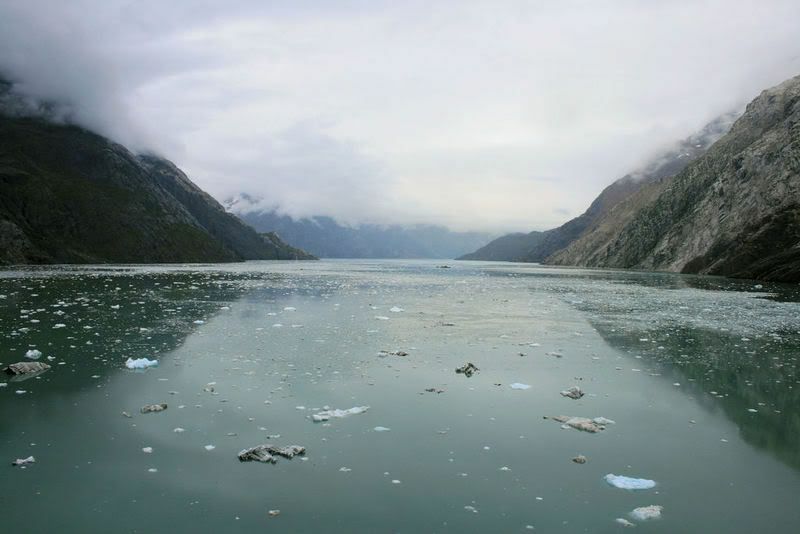 These were all taken in Glacier Bay. A bigger chunk, you can tell we're getting close! 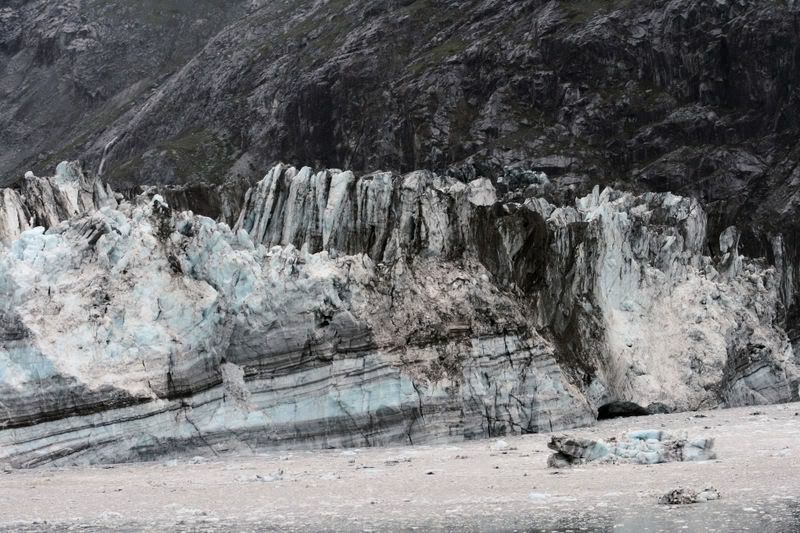 But what do we see before the glaciers? 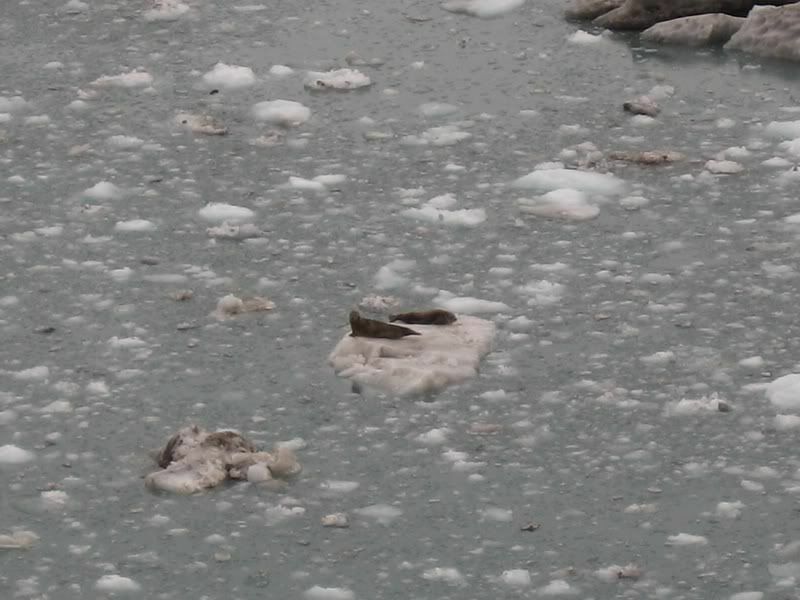 Harbor seals staring at the ship! I was on the forward side of the ship so we were heading towards them, they eventually wiggled off the ice. More harbor seals, aren't they cute little sausages? 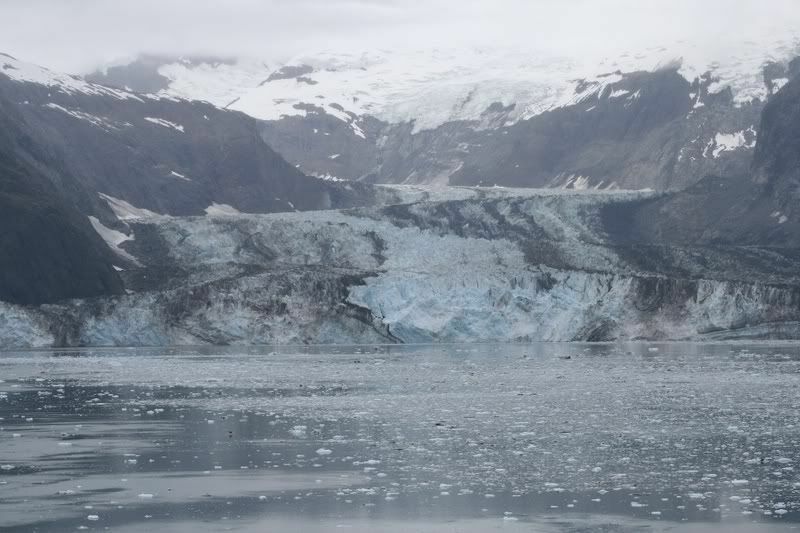 This is the first big glacier we saw in Glacier Bay; the John Hopkins Glacier. Ice-y points of doom! Those look mighty sharp. 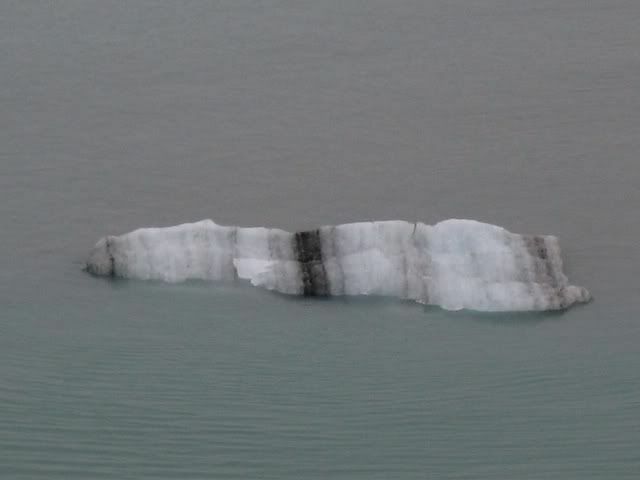 Part of the John Hopkins Glacier, I thought the stripes were very cool. 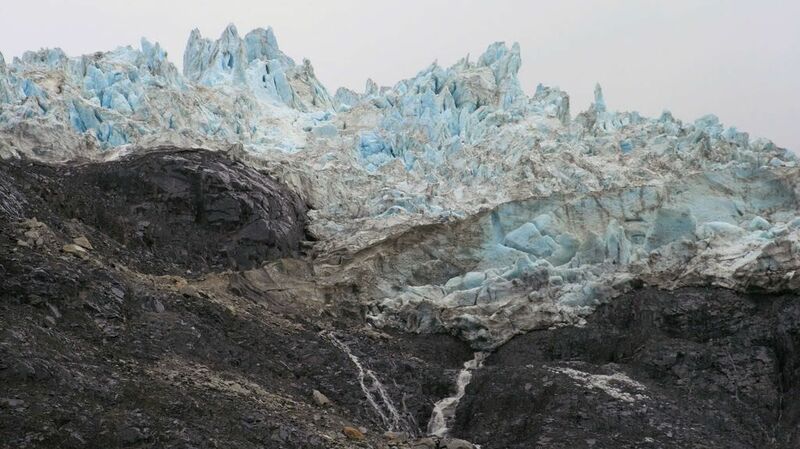 This is an awesome ice carved carved from glacial runoff. The cave is actually part of the glacier, you can tell since it's an ice cave. 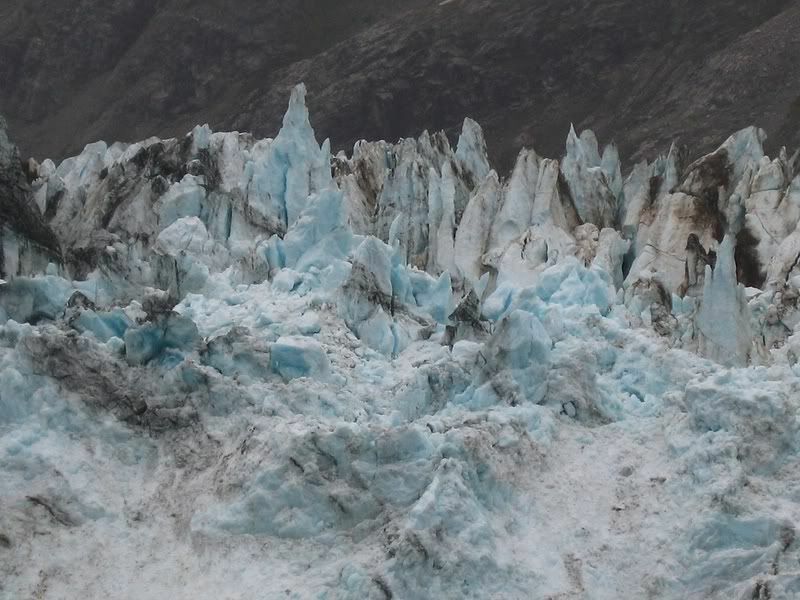 This glacier isn't like the Marjorie or John Hancock. 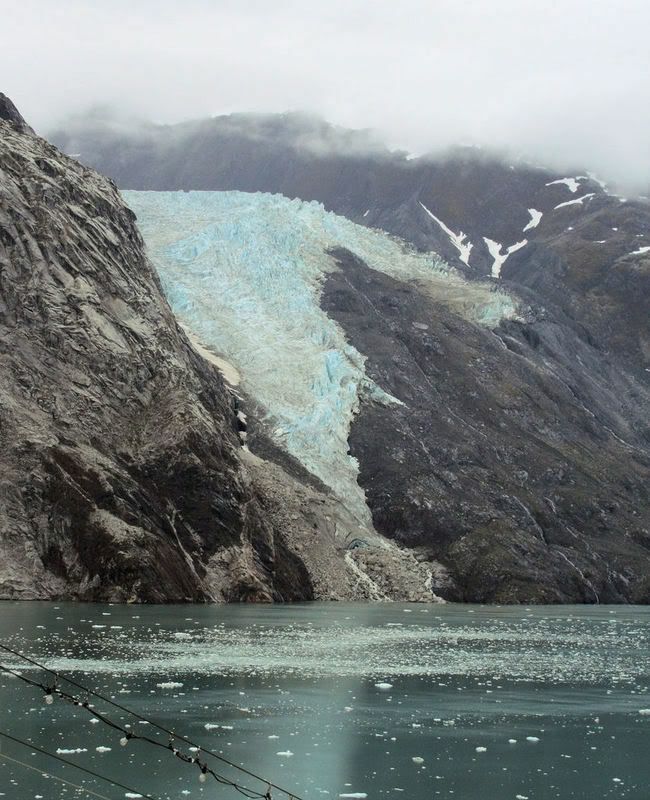 Those are tidewater glaciers, a glacier that ends at the water. Another shot of it. 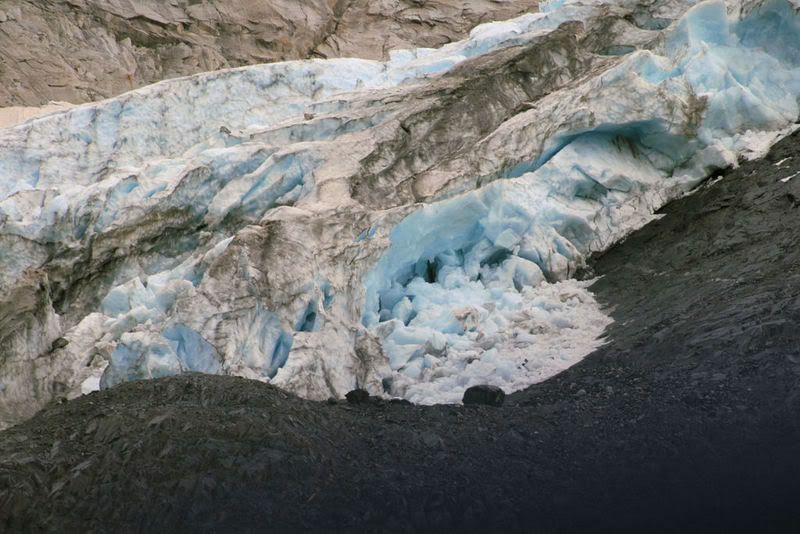 I believe the cave is the ending of that glacier. 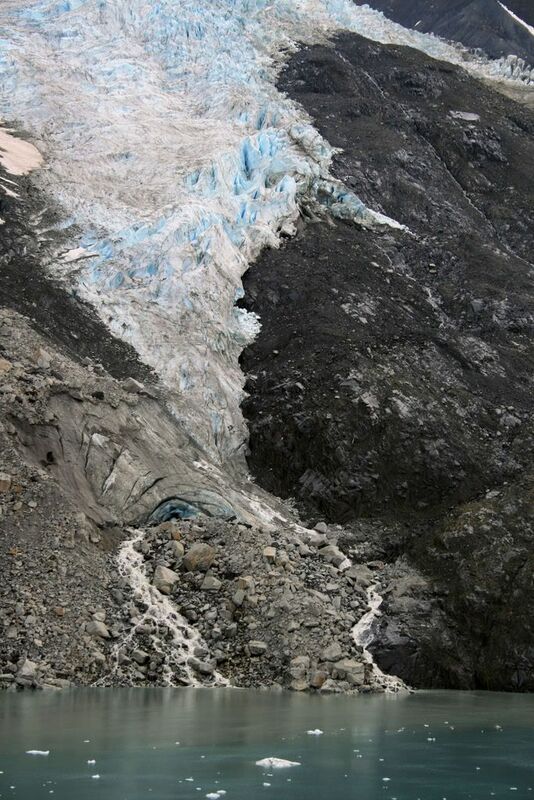 If so, it's a retreating glacier. It's either retreating naturally (they do that) or it's from global warming. This would be a perfect shot if it weren't for the ship's cables. Ah well, it's still nice. Yes I was obsessed with that ice cave, it was gorgeous! 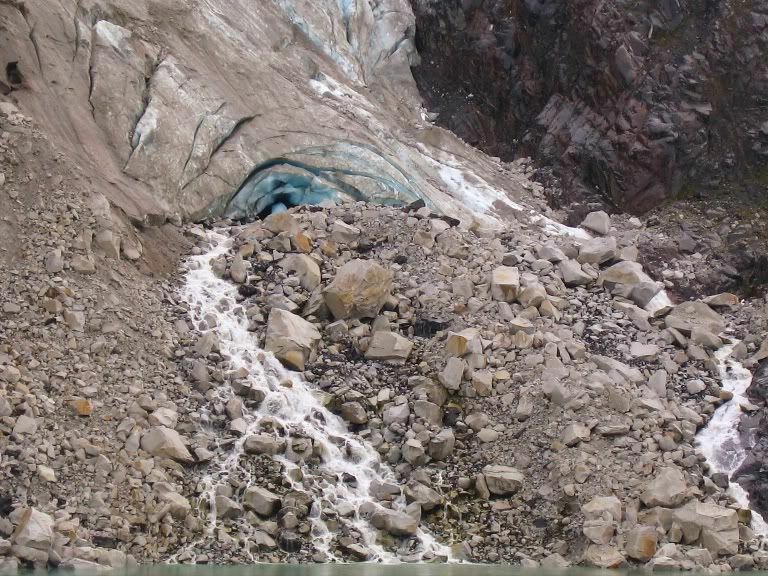 This is a 'hanging glacier', it kinda just looms over the mountain. You can also see glacial runoff forming waterfalls. 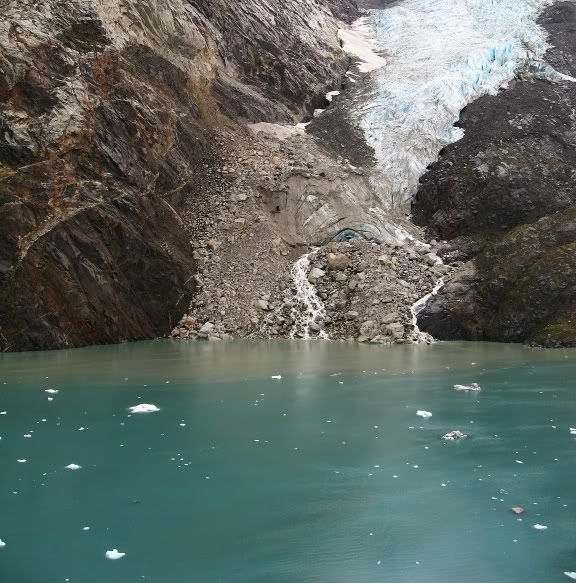 A full shot of Marjorie Glacier. 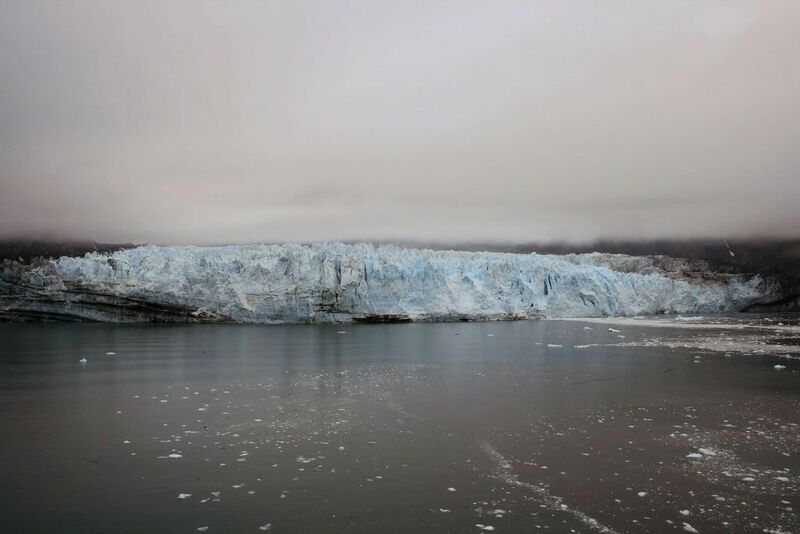 Leaving the glaciers behind! Yes the water was that color! Wow! So pretty! The colors and the stripes were so vibrant. I think people think of icebergs as being, ya know, white. Lol... But it was so beautiful! Thanks for sharing with us! 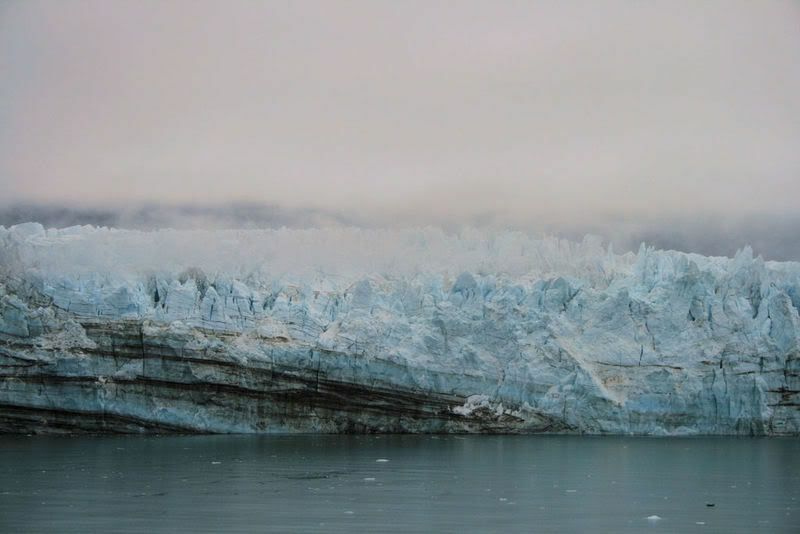 Yeah, until she started posting her pictures I never knew icebergs came in other colors than white...lol. 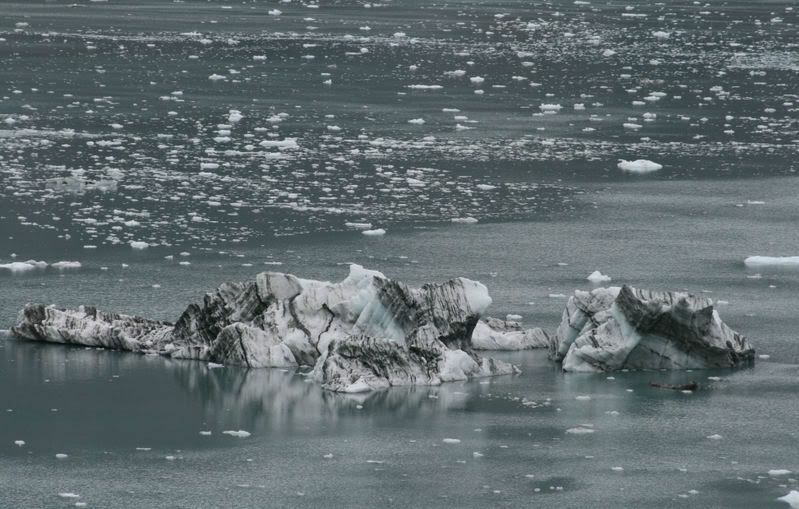 The picture with the tiny iceberg with the sediment looks like a truck ran over it, hahaha. And is that seal defecation/urine in the second one? I love seals. And that last picture, I'm totally jealous. It's gorgeous!!! And the water!!! It would be neat to blow it up and frame it. It was so still and silent in that Bay. You could hear birds from high up in the cliffs. 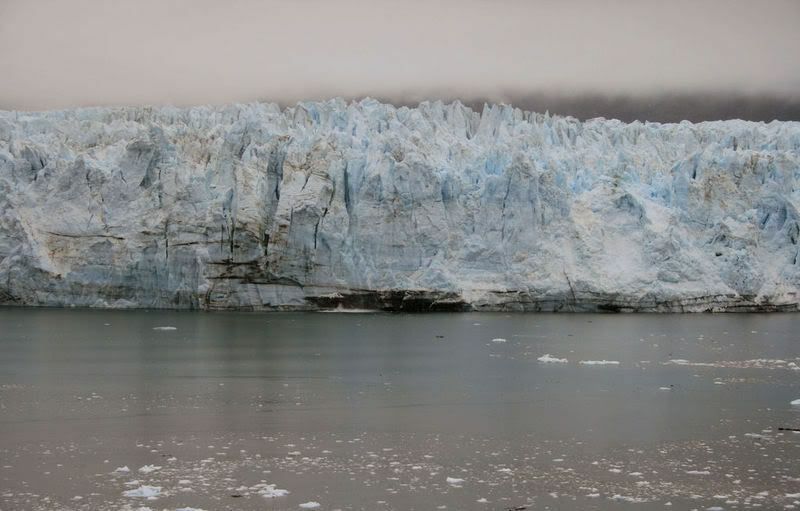 The major sound from the Bay was when a glacier calved, then you heard the cracking like a gunshot and then the roar as it fell into the water. 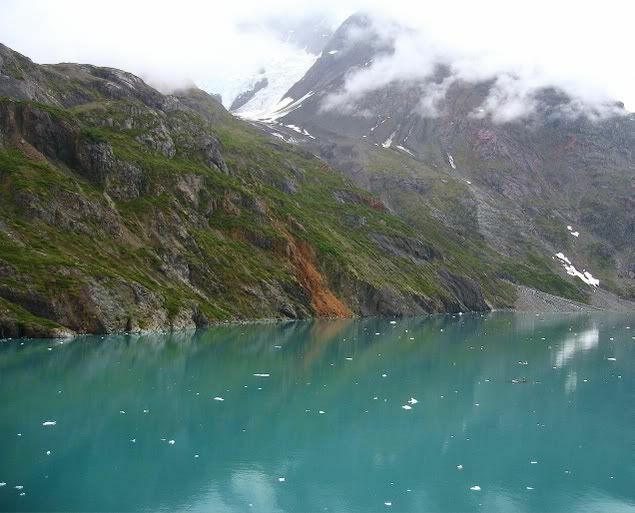 The color of the water is caused from the minerals found in the glaciers. Just beautiful! 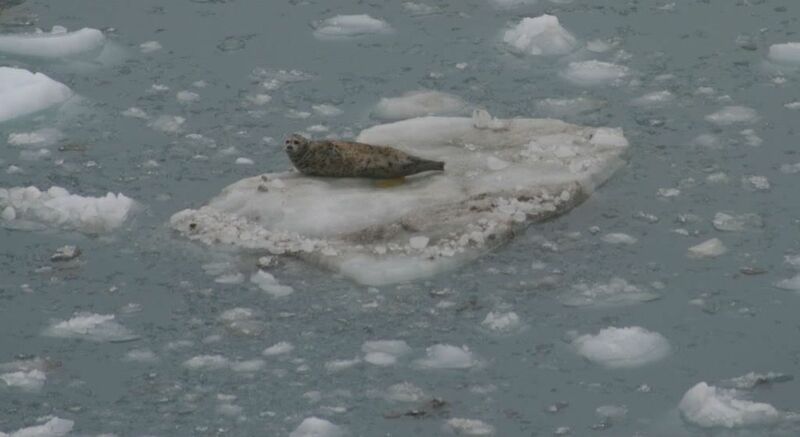 Oh, I meant in the second seal picture, it looks like there's a brownish yellow spot underneath him near his tail/rear.